As the editor for the Saturday Night Live Film Unit, Adam Epstein’s regular schedule is as hectic as it gets. Adam started at SNL in 2009 and has spent the last eight years feeding off that fast-paced energy to hone his skills and develop extremely efficient workflows. In Adam’s case, he had no choice but to adapt, but as he explains, you don’t have to work at SNL to develop these skills. Adam has worked on many different types of projects — features, commercials and other television shows — but he credits the pressure-cooker environment of SNL for forcing him to constantly integrate new ideas into his editing process. Over the years, Adam combined technical and interpersonal skills to create an editing style that places a high value on efficiency, while never forgetting the human element of filmmaking. The SNL digital shorts are shot just 24-36 hours before the show goes live on Saturday night. After the Friday shoot, Adam works alone from late afternoon until the early hours of the morning. He returns later on Saturday morning, and is always working right up until the last-minute to deliver the short on time with sound and effects. It’s a pretty intense schedule. In this article, he takes a step back to examine how the extreme speed of the SNL schedule has grown him as an editor, and he also gives some ideas for how anyone can develop those same skills. First, let’s take a look at what 8 years at SNL has done for Adam. Working quickly is like weight training for the editor. But beyond the obvious advantage that the ability to work quickly simply allows you to get more projects done, it can also have serious career implications. Working well but also quickly makes you seem much more valuable to clients and producers. In an industry where time really is money, you never want anyone in the room to feel like they’re waiting on you to catch up. And in order to be anticipatory, you have to be fast. Even if your quick cut takes the edit in the wrong direction, there is an enormous benefit in finding that out in the moment, instead of at the next meeting. This can improve the greater decision-making process in a way that makes your influence feel organic, rather than forced. 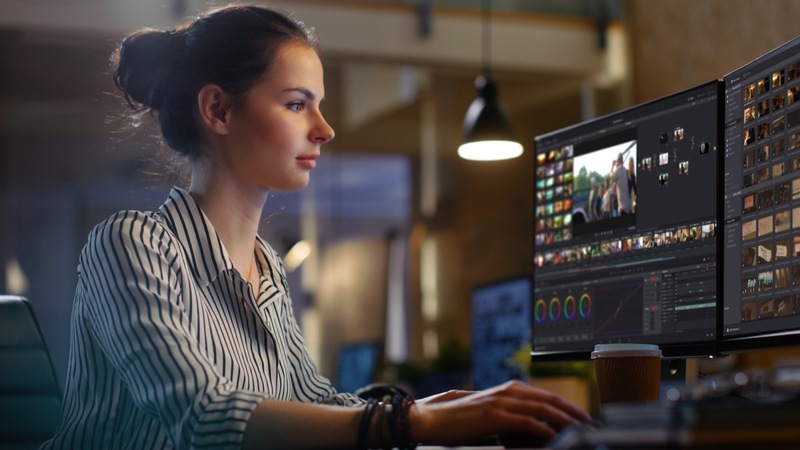 A free-flowing process benefits everyone, and as an editor, thinking a step ahead of the group creatively helps you push the project in a positive direction. But how do you develop that instinct? By exercising it, and a fast-paced editing environment forces you to do just that. “When I’m working on a commercial project at PS260, if they shoot 12 different endings, we’ll often try every ending, and then get client feedback and reactions on a bunch of them.” According to Adam, that kind of process isn’t necessarily a bad way of working, but it can lessen the instinctual element of the decision-making process. Years of making those quick calls while working with a very talented team of directors, writers, and producers has helped Adam develop his gut instincts for which cut is going to work. While Adam had the external pressure of his job at SNL to push him to refine his skills, you can very easily to build them yourself. Adam often sets artificial deadlines on his work outside of SNL. Whatever deadline your client gives you for a project, try cutting it in half. If you have two weeks, operate as if you need to hand off that work in one week. Not only will this help you develop both your efficiency and intuition, it also gives you time to add some finishing polishes, if necessary. Sticking to extreme deadlines also makes you learn how to use good project organization. Being organized is clearly important if you’re going to work quickly, but it also makes you look far more professional to your colleagues and clients. Disorganized editors or assistants rarely make for top-rate team members. If you keep starting projects but don’t finish them, then you’re missing the point of the self-imposed deadline idea. The pressure to finish the project, even if it’s not perfect, is what will grow your skills as an editor. The hallmark of the wannabe filmmaker is to be always working on something but never finishing anything. Not everyone has the self-discipline to actually hit those deadlines, and that’s ok. In that case, it can help to put your projects online, so that your friends can keep you accountable. Adam told a story of a friend of his who had a project that he called “Stretch Daily” where he built in some of his own accountability, “Every day I’m going to make a ‘thing’ that I have to put on my website.” Not a lot of rules, but it helped him to creatively stretch in new ways. Not everything you publish has to be amazing, but you might find the internet surprisingly supportive of your work if they learn that you’ve set an ambitious goal. If you’re going to start hitting your new deadlines, you’re going to need to get serious about cutting quickly. On the technical side, Adam increased his speed by shifting his focus to the keyboard. “I learned a long time ago — especially when I started on Avid — I like to be as keyboard-based as possible,” Adam explains. “I try to be as left-hand based as possible. I use the shift-command-control option keys as modifiers for everything. With modifier keys, it lets me get the entirety of a keyboard with one hand.” With his custom left-hand keyboard shortcuts, Adam’s right hand is free to simultaneously operate a Wacom tablet. There isn’t a single best way to configure the keyboard for editing, and it’s certainly platform-dependent. What Adam does works for him, but the point here is that he has learned, through experimentation, what is the most efficient way of navigating the interface for him. We won’t attempt to cover all of the ways to edit with the keyboard, but Google reveals all. One of the great benefits of the SNL schedule for Adam is that he’s always working on something new and different, and that opens many ways to try new styles and techniques. One of the many benefits of the work-fast approach is that you move from project to project quickly, and each new project is a fresh start to try something new, or learn from someone else. Keep your mind open to the idea that there’s a better, faster way to do nearly everything, and incorporate those aspects of other editors’ work into your own approach. Thank you to Scott Strandberg for contributing this article. Scott Strandberg is a freelance writer based in Seattle, WA. He works as a film critic and entertainment columnist for The Norman Transcript newspaper, and as a staff writer for FanGraphs Baseball.